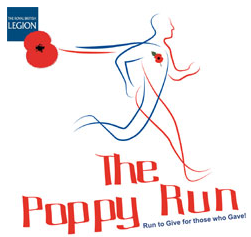 The Poppy Run is a popular national event that all the community can take part in. This is the 5k run's third year and aims to raise money and awareness for the Royal British Legion – a very worthy cause, we're sure you'll agree! The run takes place on 24 October in Battersea Park. There's so much to see in this London landmark that was built in the late 19th century, including beautiful fountains and lakes and lots of greenery to absorb as you make your way along the route. Poppy Run organisers aim is to increase the number of venues at which the event is held each year to over 100 by 2018 and boost the number of participants to 50,000 by 2024, with the target being over 100 Poppy Runs annually by 2018. Eventually, by 2024, the aim is to have as many as 50,000 runners raising over £1 million annually. In the first year there were seven Poppy Runs held and a year later ten Poppy Runs across England. For 2014 there will be 27 Poppy Runs, including two in Scotland.